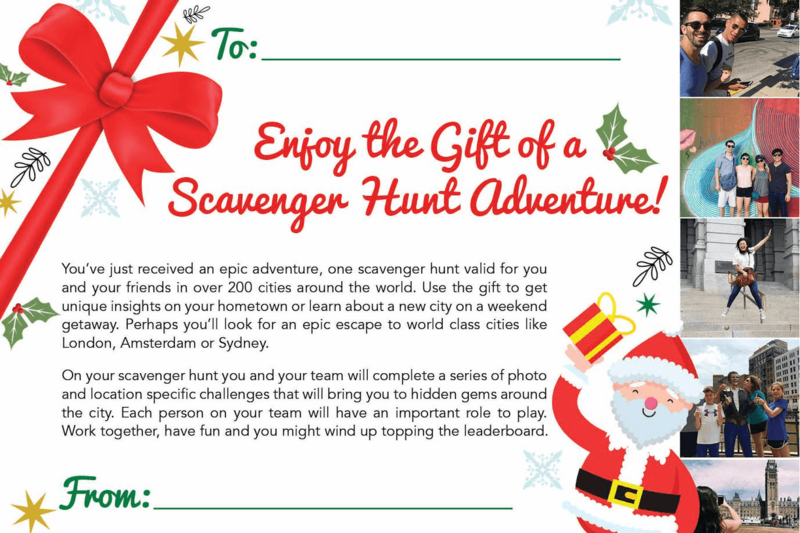 Our scavenger hunts are the best gift because our epic photo challenges and fun activities make lasting memories. Any ticket purchased through our store can be converted into a gift after checkout! You'll have your choice of cards to pick from too! After checkout, you'll be able to instantly print or send your card to each recipient! 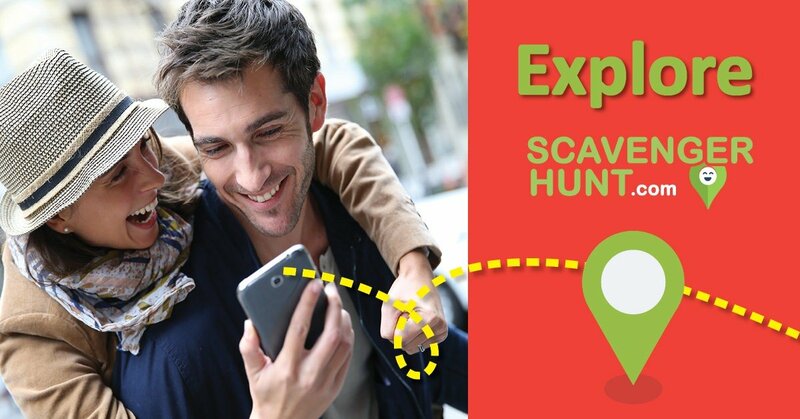 Explore any city with our scavenger hunts! Give a gift that's fun and exciting! The recipient selects a city on the day of the hunt. Tickets are valid for 2 years! Tickets work for 2 years and can be emailed or printed after checkout! Our customized, interactive roles make each scavenger hunt perfect for kids, dates, families, and friends. Our tickets work at any of our 200+ locations, so the recipient can select the city they want the day of the hunt! Tickets are valid for 2 years from the purchase date and there's no need for reservations for parties of less than 20! Our scavenger hunt is the best way to see the city and a great way to have fun with any type of group. Your recipient will be able to select from any of our 200+ locations when they register and tickets are valid for 2 years.